In this tutorial, Rod will show you how to go about receiving a free replacement lock, and installing the recalled lock on your Lane cedar chest. Did you know that in 1996, Lane recalled 12 million cedar chests with lids that automatically latch shut when closed? At least 6 children are known to have suffocated, so it’s very important to change this lock. They are free from Lane. 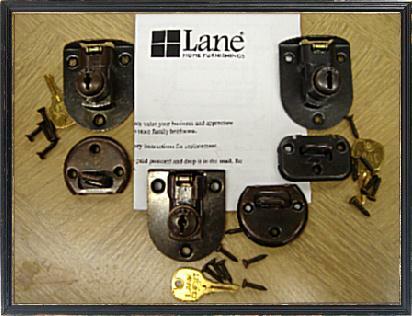 Lane Cedar Chest Locks Were Recalled. Here’s a video on how to replace yours. 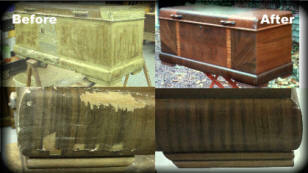 All “Lane” and Virginia Maid” brand cedar chests manufactured between 1912 and 1987 need to have their locks replaced. The chests are often handed down through families, and it’s likely that many were purchased second hand. At least 6 children are known to have suffocated inside the chests. I felt this was an important public service video to put together to help bring attention to this recall, which many people are unaware of. There are countless thousands of cedar chests in service with these locks. Together, let’s do what we can to get them all changed and protect our children. Lane is providing new locks, free of charge, that will prevent entrapment’s because they do not automatically latch shut when the lid is closed. To prevent another tragedy, CPSC and Lane are urging consumers to check their “Lane” and “Virginia Maid” brand cedar chests. The brand name “Lane” or “Virginia Maid” is located inside the cedar chest. If the lid latches shut without depressing a button on the outside of the chest, the lock needs to be replaced. Contact Lane toll-free at (800) 327-6944 anytime or access their web site at http://www.lanefurniture.com/about/product-safety.html to order the free replacement lock. Consumers should have the chest’s serial and style numbers, which are branded on the outside bottom or back of the chest, available when contacting Lane. In this tutorial on how to refinish a cedar chest, we will repair some serious veneer damage and and then conceal the repairs by touching up with touch up paint.